There is a way savvy professionals actually shoot ‘track shots’ on public property. That is to say, the old railroad line is no longer connected and is owned by a local municipality that encourages people to walk the tracks, etc. To shoot an active track, while trespassing, is illegal and very unsafe. To shoot an active track from a public place is entirely legal. Now, if you add people to the tracks, that’s a special kind of duh. With all of this said, if you know what you are doing and are shooting in an approved location, no problem. Never say never, just do the proper research beforehand. Good article interspersed with good advice and what SHOULD be considered common sense, however, since you mentioned you had experience in site locating, I would appreciate some advice in the legal process and procedure of obtaining permission to do such shoots. Also, is there a means of identifying and locating abandoned tracks which are no longer in use and, therefore, hardly a threat? Thanks for the reading and your reply Kurt. My hope is that you would NOT need to know the process since you won’t ever be shooting on tracks. As I say in my post, even shooting on an abandoned line still could be (and probably is) ILLEGAL. Additionally, it is the perception that you’re on a live line. If one other photographer sees the shot and says, “It must be okay if they’re doing it,” then the cycle continues. I didn’t mention this in my post but what is happening with the railroad industry, since so many people are breaking the law and getting hurt, is they are reconsidering partnering with any film project. Better to say no and eliminate any risk. – The first thing I did was to reach out to two giant railroad companies and asked if they wanted to collaborate with us on the movie. If yes, then you have a partner. It helped that the project was a studio movie with name actors. They at least spoke to me. They might not return your call if it’s anything less in stature or credit. – Rust, weeds, and disrepair of a dead line will be glaringly obvious that it’s been out of service. – It may not match your creative. A few were offered in the rural landscape but our scene was in a town. – The two large companies said NO – and I respected that. Our choices were: to find another railroad company or perhaps a private line* or to build our own. On the latter, some movies (with very large budgets) have done that – but it was not an option for us. – Finally, after more emails and calls, we connected with a regional railroad company that owned tracks (that could be controlled) and they were not nearly as busy as one of the giants. They were interested in collaborating with us and became our partner for that scene. – As with any any filming location, insurance was provided by us and a location agreement was signed. – Safety discussions were had almost immediately. The crew had to be put through a brief safety class. Then, a final safety meeting was held the day of filming*. 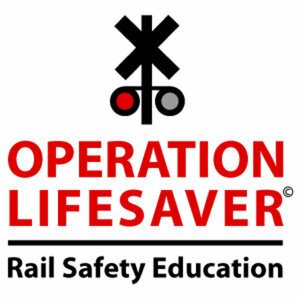 – Representatives of the railroad company were on set when we filmed the scene. They were plugged into their trains and personnel with their communication system – plus ours. * There are private train lines out there that can indeed be controlled vs. a live busy line. ** Safety meetings should ALWAYS happen on EVERY set prior to filming in a dangerous environment. No photographer can be held responsible for the poor judgement or stupidity of others. I shoot on active oil rigs, in working mines and industrial sites that require an incredible awareness of your surroundings at all times not to mention the layers of safety you must attain. Anyone with good, common sense can do the same thing. It all boils down to simple common sense and nothing else. It is VERY easy to find inactive lines just about anywhere in the USA that are privately owned. One simply needs to invest a little time. If you don’t find what you are looking for, then create it via the technology that currently exists. It really is a simple matter. If a closed rail line is owned by a local government, would that make it public property like a park? Most likely but it’s subjective. Some railroad companies do “gift” lines property to cities and counties. Those entities will summarily remove the tracks and make it a bike path or hiking trail (which are better and safer options for photography). IF a line is owned by a local government – a permission process to shoot on them should still be put forth. I would think any government that owns such a place would at least post signs nearby that disavow them from any injury liability. Ron. I hear ya. Obviously you are an experienced pro and a possessor of common sense. But it is the vast amount of human beings out there holding a camera (or device that captures images) that have zero experience and less common sense. There are many content creators doing the opposite of what you do – and on oil rigs, mines, and industrial sites. I would think you might take issue with those types shooting at locations you’ve shot at – or worse – for your client, and completely disrespecting safety, process – and common sense. The negative perception is then put forth, that they are a professional too – just like you. I’ve shot in plenty of dangerous situations and I’m not discouraging all of it. I’m simply asking people to be smart and be safe. Do homework and communicate with everybody involved with the shot. Hopefully, all of them have experience. 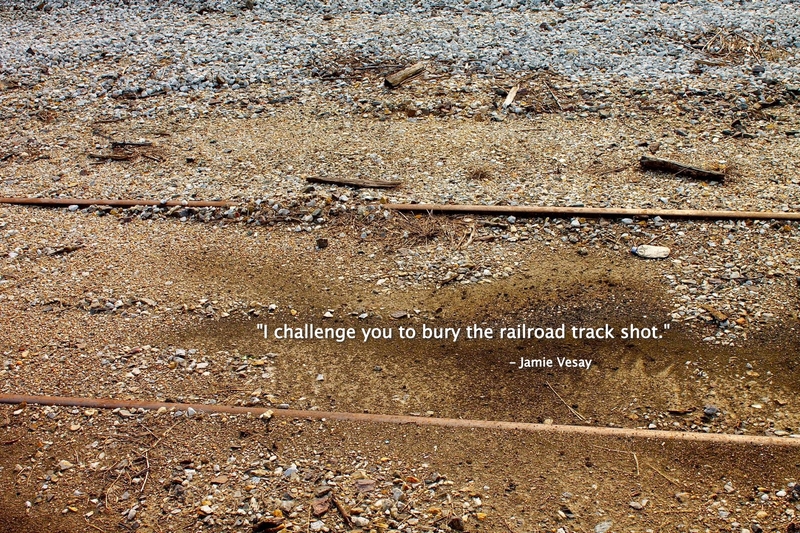 By asking photographers and filmmakers to stop with the track shots I’m asking them to be more creative, not less. I know – I am crazy to think it might make more people aware of the dangers, possibly slow the injuries, maybe save lives, and hopefully remind shooters about basic safety and some sort of professional standards. But I’d rather write a post about it then continue to read about the next senseless injury or death. Much ado about little or nothing, Unless one is working for a client who is paying for the location, in many cases, its not a big deal. Use of common sense applies with the situation. People going out for a test shoot with a model or just a scenic track shot may be technically breaking a law, but so friggin what. Nor does it make any sense to put up such preposterous analogies as “Would you be okay if a photo or film crew shot on your property (lawn, backyard, rec room, or land you own) without asking?” Sorry, but even the stockholders of a railroad corporation would make a HUGE distinction between setting up shop on their front lawn as opposed to a stretch of track out in the boonies. To clarify, this post is specifically about unsafe antics in the USA. Unfortunately not all human beings have been gifted with common sense. Also – my analogy to getting permission before you shoot was not comparing a railroad line to a lawn rather private property to private property. And thank you for your comment “…People going out for a test shoot with a model or just a scenic track shot may be technically breaking a law, but so friggin what.” It sort of agrees with my point about apathy. Fortunately an individual is not allowed on the rigs or in the mines without strict safety training, respect and a qualified employee as a guide. All safety rules must be observed at all times and instructions listened to and followed, regardless of whether the shot will be ‘missed’. I am very happy that not just anyone is allowed onto the rigs as that would spell disaster. The companies I shoot for are VERY careful on who is allowed on the property and for good reason. It is never okay to break any laws just to get a shot or video clip. Ever. While I may not agree with every law, I do follow them. It is foolish and careless to assume in cases of individual safety. After 9/11, a breach of track laws could very well land you in jail and the confiscation of your equipment. We see more and more restrictions on locations due to the arrogance of a few who think they can trespass and put themselves and their subjects in jeopardy. Due diligence is required when shooting on any property other than your own. Dear monomotapa – My husband works for the railroad and my father did as well before he retired. “Bog deal”, you say? How many children are you inspiring when you take a picture on railroad tracks? Do you have any idea what railroad workers deal with daily in regards to teens, kids and photographers taking pictures on tracks?! This is not a problem to just shrug off. This is a BIG PROBLEM. If a railroad worker should not follow protocol exactly as their inches thick rile book should tell them to, they can be brought up on serious charges if they have a major accident. Now, imagine riding on a huge warm rocking cradle for 12 hours with absolutely nothing to keep you awake and alert but looking out your window and conversation with your conductor. No, they can’t use phones, read books, or listen to music. 12 hours of silence. They are on call 24/7 (no weekends, holidays or scheduled days off) and they are usually lacking sleep in some way. So, this is their life, and suddenly some kid decides to take a selfie on the tracks in front of him. Maybe this kid is extra awesome and decided to take this picture around a blind corner, so the engineer of the train had NO chance to see him before he came around the corner. Or maybe that photographer didn’t expect the train to be going quite as fast as it was and he sticks around to get his equipment off the tracks. Do you think it is B.S. that a railroader has to deal with this day in and day out? They might ‘ve paid a decent wage, but this is not something you can get paid enough for. Just don’t take pictures on tracks. You encourage kids to do it and put good hardworking people like my husband in danger. Why would you ever want to promote an illegal activity anyway?